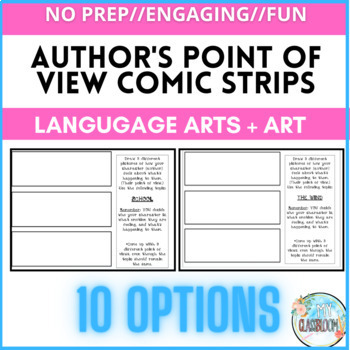 Your students will absolutely love learning about author's point of view and perspective with these mini comic strips! 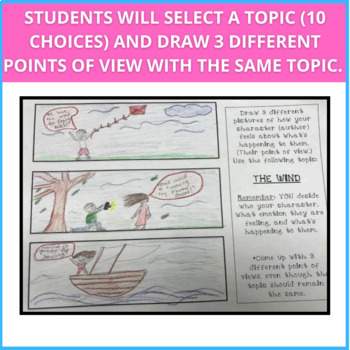 Students can choose from 10 different topics and create 3 different strips to show how their character (author) feels about the topic and what emotion they are showing. 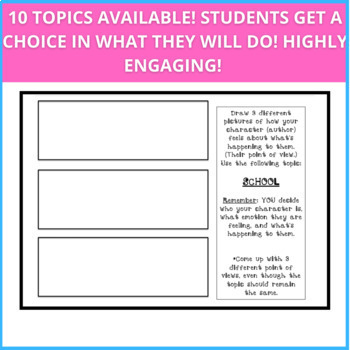 There is so much student choice in this activity! Student's have a choice of topic and then completely customize their character, picture, and emotion! 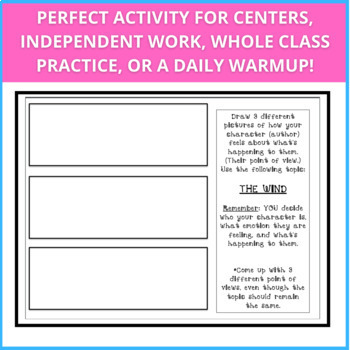 Use this as a station, and interactive notebook, independent work, whole group, or even as a warm up by doing one everyday during your point of view unit! This activity merges ART with ELA!